READERS, just suppose that Obama Inc.’s security heads are really as inept as fictional Keystone Cops. Afterwards, switch (mental) gears and assess their actions from a vantage point of patriotic American professionals, leaders who take their duties very seriously and would do anything to protect and serve the nation. Keep dreaming. NOW, utilize the above either/or propositions and take visual recaps, regarding all the smoldering security mayhem within America. It is under this status assessment that rational folks have to admit: HUSSEIN Obama’s security heads are executing their sworn duties from a deliberate anti-American mandate. Decidedly proficient too. RESULTANT, the above prism exposes heretofore operational failures, at least from a patriot’s perspective. Besides, even the aforementioned Keystone Cops would be able to do a better job at securing the borders. NOT only that, it is under the direct purview of HUSSEIN Obama’s DHS (via the cover of supposedly thwarting illegal immigration) that terrorists – amid tens of thousands of illegals – are purposefully pouring across the borders. Open sesame. The facts are manifest and would indict “lesser” Americans for long stints in jail. MOST significantly, it has been proven that narco-terrorists from Mexican drug cartels, in tandem with E. European smuggling rings, are slipping ISIS (Hezbollah agents and assorted Islamic offshoots) right past border patrol, leading them into Texas and to destinations all over the U.S.! THAT being said, let’s segue to a few proofs – out of many – at this site. AMERICA’s compromised borders are not the result of an operational inability to control infiltrators, whether under the guise of kiddies or not. The absence of proper controls were designed to aid and abet the overthrow of America, both through an unbearable crush of illegal aliens, further coupled with an ability to ferry Islamic terrorists for whatever havoc they have in store. Sounds bizarre, yes, but not from an Anti-American-in-Chief’s perspective. MOVING right along…the poisonous fruits of Barack HUSSEIN Obama’s labors are set to explode; those already INSIDE America and others poised to strike from their operational points inside Juarez, Mexico to overthrow the U.S.! 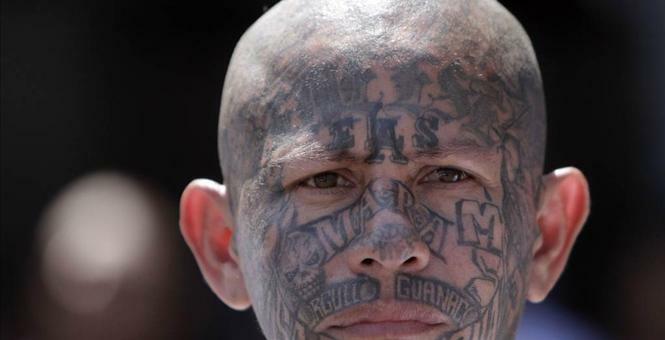 In fact, as a main hub for narco-terror (alongside the tri-border region of Latin America), MS-13 became a front center concern at this blog. This site is anything but Johnny-Come-Lately. THE top mission within this site has always been to alert the readership to the grave dangers posed by the red/green alliance. Nothing has changed. Everything unfolding within America – and, within the Mid East, to a considerable degree – has its origins in said LETHAL nexus. THAT being said, little is more emblematic of the above than the co-joining of leftists and Islamists to destroy America, Israel and the west in toto. This is where, as is said, the rubber meets the road. But in operational parlance, let’s be somewhat starker: where narco-terror via gangs meets Islamists and their leftist cohorts. Sans internalizing the above, well, it becomes impossible to connect the dots…the unfolding disasters. SO in light of all the above factoids, is anyone shocked that a strike is poised to occur, sooner than later? In tandem, an idea was percolating where “following the (jihadi) money” evolved, and it can be found at – adinakutnicki.com/about/. It became obvious that being a co-owner of a corporate tax practice could be useful, and not just as a way to comfortably support one’s family. As such, a place where one earns a living could also be utilized for the greater good. Thus, joining forces with several investigators became a force multiplier with infinite potential. Having more than enough business resource material/access to sift through the financial muck of Islamic jihadi (inter-related !) US non-profit groups, a starting point was born. After much painstaking effort, a treasure trove of goodies was uncovered. Not only was it galling to witness said abuse of U.S. non-profit tax laws (and their tax violations are ongoing), but upon learning who supported the terror organs (even though it wasn’t readily apparent in the supplementary 990 IRS attachments, but this was where a forensic colonoscopy came in), as well as whose hands the monies ended up in, the findings were more than enough reason to march on. And this is where Dr. Rachel Ehrenfeld intersected…having coming to the realization that a tax practice can only get one so far – even with the IRS Criminal Complaint Division (Newark, NJ) on speed dial and occasional “in-their-face” drop-ins to their headquarters – as such, a main contact who knows her well sent the following research material gratis…and many more droppings along the way – www.amazon.com/Confronting-Terrorism-Financing-American-Foreign/dp/0761830669/ref=sr_1_2?s=books&ie=UTF8&qid=1364714251&sr=1-2.What a “helper”. A very connected fella. Yet, to understand why she is the master/mistress of the narco-terror domain, see this too – en.wikipedia.org/wiki/Rachel_Ehrenfeld. So pay rapt attention to the good Doc, housed in the link certain subjects evolve…. ALWAYS one who won’t take no for an answer, as well as a tenacious and dogged student, a wealth of info was painstakingly uncovered. This treasure trove (sorry, it can’t be shared publicly), even a decade later, helps to serve as building blocks (to report on) for today’s Eastern Euro connection; one which SOLELY involves smuggling Muslims (Islamists) into America! The report on a Houston television news program describes how an Eastern European smuggling connection is being utilized by Muslims wishing to enter the United States through the wide-open border Hussein Obama has provided for them. Former CIA officer Bob Baer told the network ISIS is already on this side of the Atlantic. “I have been told with no uncertainty there are ISIS sleeper cells in this country,” he said. Though CNN said two U.S. officials had refuted the claim, they’re worried ISIS militants with passports might travel to the United States to launch attacks on American soil, CNN reported. RESULTANT, patriots have been warned at this site, time and again: yes, DHS has been co-opted from its original mission of actively hunting down Islamic threats, instead, they are now focusing on “right-wing” domestic terror, vets and patriots! Basically, the preponderance of their efforts are expended towards shielding Islam from ANY connection with terror. This is a fact. IN reality, even when patriotic Americans, including counter-terror professionals, are threatened by Islamists – whether American-Muslims or converts – those who are sworn to protect are now AWOL. The above link couldn’t be any starker. YET, the core question becomes: where is DHS’s Director, Jeh Johnson, in all of this, as well as “Mama Janet”? THE amount of (Islamist) damage accrued under HUSSEIN Obama’s DHS (starting with “Mama Janet”) is beyond measure. Incalculable. BUT when DHS’s Jeh Johnson entered the scene, well, only the willfully blind couldn’t discern where his alliances lie. And while there exists a veritable smorgasbord of proofs housed in these pages, suffice it to say that the following link sums up Johnson’s treachery: DHS lies/hides terrorist infiltration…what is he up to? Folks, don’t dare be fooled by his fancy pedigree! INTRINSICALLY, with the meteoric rise of ISIS (and its aligned terror arms…six of one, half a dozen of another) it became a high priority to follow their western footprints, wherever they lead. SO as DHS helps to ferry them into the U.S. – while they pretend they are securing the homeland – the fact remains that this investigative journalist has been exposing Somalis in America, even those who top the FBI’s most wanted list. Yes, other tentacled groups have been highlighted, basically, hiding in plain sight. Said threats should not be news to many readers. AND so on and so forth…but it is not as if the following “news” should shock anyone, least of all HUSSEIN Obama’s henchpeople! The Islamic State terror group is operating a camp in the northern Mexican state of Chihuahua, just eight miles from the U.S. border, Judicial Watch reported Tuesday. Citing sources that include a “Mexican Army field grade officer and a Mexican Federal Police Inspector,” the conservative watchdog group reported that the Islamic State, also known as ISIS or ISIL, is organizing only a few miles from El Paso, Texas, in the Anapra neighborhood of Juárez and in Puerto Palomas. “These specific areas were targeted for exploitation by ISIS because of their understaffed municipal and county police forces, and the relative safe-havens the areas provide for the unchecked large-scale drug smuggling that was already ongoing,” Judicial Watch reported. Mexican intelligence sources say the Islamic State intends to exploit the railways and airport facilities in the vicinity of Santa Teresa, New Mexico. “The sources also say that ISIS has ‘spotters’ located in the East Potrillo Mountains of New Mexico (largely managed by the Bureau of Land Management) to assist with terrorist border crossing operations,” Judicial Watch reported. “ISIS is conducting reconnaissance of regional universities; the White Sands Missile Range; government facilities in Alamogordo, NM; Ft. Bliss; and the electrical power facilities near Anapra and…. WND reported last fall a warning from Judicial Watch there was an ISIS presence in Mexico, just across the border from Texas. One Texas sheriff said last fall he was confident he could handle the threat. “If there are ISIS fighters that may already be in the United States, or in your area who’ve crossed the border, what’s your message to them?” CNN’s Don Lemon asked Midland County Sheriff, Gary Painter. “If they rear their ugly heads, we’ll send them to hell,” Painter said. CONCLUSIVELY, this investigative journalist’s analysis assesses: although ISIS (and assorted jihadi tentacles) is spread throughout America, let’s agree that Texas, specifically, El Paso, is a front-line arena. Various border communities alike. To wit, the stands taken (or not) at these communities will have a direct psychological (cascading) effect, rebounding to both fellow Americans and Islamists at large. THEREFORE, akin to any pre-war scenario, there are preparations to be made. Most importantly, understand that the threat is not only real but impending. Not only that, but the U.S. power grid is subdivided into 3 sectors and Texas is smack in the middle of the western interconnection. NOW, just suppose that Mexican drug cartels (highly familiar with America’s southern landscape and adept at certain “activities”) are operating both as coyotes AND saboteurs/scouts for ISIS? Hmm. As such, stockpile as much ammunition and supplies as possible, and be ready to defend yourselves and loved ones. At all costs. TRUTHFULLY, the question isn’t: how could ISIS set up training camps right under the eyes of America’s security arms? Rather, it is: how could they not, being that HUSSEIN Obama has ordered DHS (Border Patrol, the FBI, even the CIA) to stand down! LEST any American foolishly believes that DHS’s cavalry (and agencies directly under their domain) will still come to their rescue, well, they deserve what they get. After all, how many warnings does it take to sink in what’s what? This entry was posted in Uncategorized and tagged AMERICA’s compromised borders, DHS co-opted, DHS ferries illegals into the U.S., DHS lies/hides terrorist infiltration, en.wikipedia.org/wiki/Rachel_Ehrenfeld., Former CIA officer Bob Baer, http://islamexposedonline.com/2015/04/16/isis-hyper-alert-narco-terrorists-smuggle-isis-into-texas-what-if-anything-is-dhs-doing/, http://joeforamerica.com/2015/04/isis-hyper-alert-narco-terrorists-smuggle-isis-texas-anything-dhs/, HUSSEIN Obama’s DHS, Investigative filmmaker James O’Keefe, Islamic State training camp in Mexican state of Chihuahua, Keystone Cops, MS 13 by Adina Kutnicki. Bookmark the permalink. It appears there is little will by Americans to stop Muslim Aggression in America ! Americans seem compliant with border management. So be it ! Pingback: Israel's Voice | ISIS HYPER ALERT: Narco-Terrorists Smuggle ISIS Into Texas. What, If Anything, Is DHS Doing? Reblogged this on Conservative Right Wing News. Conservative News for Political Conservatives–Today's Best Rightwing Conservative News Blogs and Conservative News-Truth In Media..
Pingback: Israel's Voice | ISIS & San Diego, CA: A Prime Jihadi Hub! DHS Lends Cover. Where Is The Nexus? Pingback: Israel's Voice | UPDATE: ISIS Sleeper Cells In US: WMD’s & Infiltration Via Mexico. Where Is The Nexus? Pingback: Israel's Voice | JADE HELM 15’s Underbelly Dissected: Private Military Contractor Gutted By Military Source. Pingback: Israel's Voice | ISIS, Cartels, Open Borders & Hill’s Email-Gate: Narco-Terror Nexus & Obama Inc.’s Complicity Exposed. Pingback: Israel's Voice | Obama Inc. Preps For 100,000 “Refugees”; Massacres By ISIS Assured! Panthers Waiting To Pounce; The Nexus.